Oh la la! 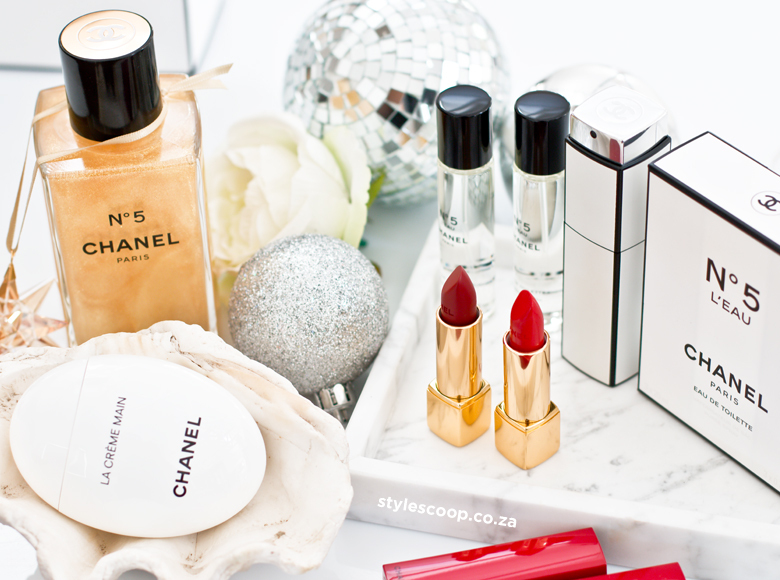 If ever there was a beauty collection to swoon over for the Holiday’s, of course it would be from CHANEL! Every year the Chanel Holiday Collection just becomes more and more lusty and if you’re a lover of the finer things in life, or a collector of The Arts (makeup Arts that is), then you’ll want to get your perfectly manicured hands on these Chanel Holiday 2017 goodies! Every item is super luxurious, super premium and since the CHANEL Holiday Collection is a limited edition, you know it’s a rare treasure to have and a great gift to get every year. And, this year, there’s a CHANEL gift for everyone! Without a doubt, the most magical body gel you’ve ever seen! For the lady who gets this under the tree, watch her face light up as she unwraps this gift! CHANEL N°5 Fragments D’or is a ridiculously gorgeous body gel; nestled in a weighty, luxurious glass and filled with magical sparkling contents – that look like a swirl of heavenly indulgence. If you love the iconic CHANEL N°5 fragrance, you will go ballistic for this limited edition piece to add to your collection. Now, I do realise I speak about CHANEL beauty products as if they were designer gowns, but they really are on THAT level when it comes to makeup and beauty! It’s difficult to describe the thrill of that luxurious sensory pleasure you get when you’ve applied a glistening glow of glorious CHANEL N°5 Fragments D’or body gel to your skin. Apply this fragrant, hydrating body gel, which actually has real gold sparkles on your neckline and forearms for a subtle, festive glow this holiday season. 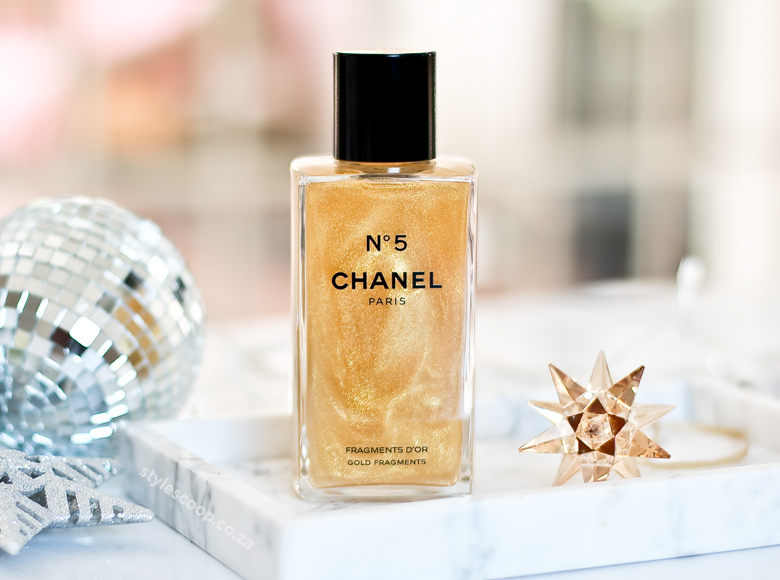 I still have a tiny bit of my very special Chanel N°5 Intense Bath Oil from the 2013 Holiday Collection, and every time I use it, I feel like a princess! Like the Bath Oil, The Body Gel is not something you’d buy to use every day, and just like that CHANEL Tweed jacket, you wouldn’t wear it while walking the dogs – ya know what I mean! So if you’re looking for the ultimate gift to have and to hold, then nudge the hubby into spoiling you with something lusty and luxe. Something glimmering, shimmering and gorgeous that not only looks incredible on your bathroom shelf, but a body gel that will illuminate your skin with beautiful golden shimmers, while subtitling perfuming it with the scent of Chanel N°5. If the original Chanel N°5 fragrance is not your cup of tea, try the fresher, more updated and modern version of the icon with Chanel N°5 L’EAU. As much as I love the N°5 body collections, the fragrance itself is not one I would call a favourite. Don’t get me wrong, I don’t hate it, I just prefer other editions of CHANEL fragrances. 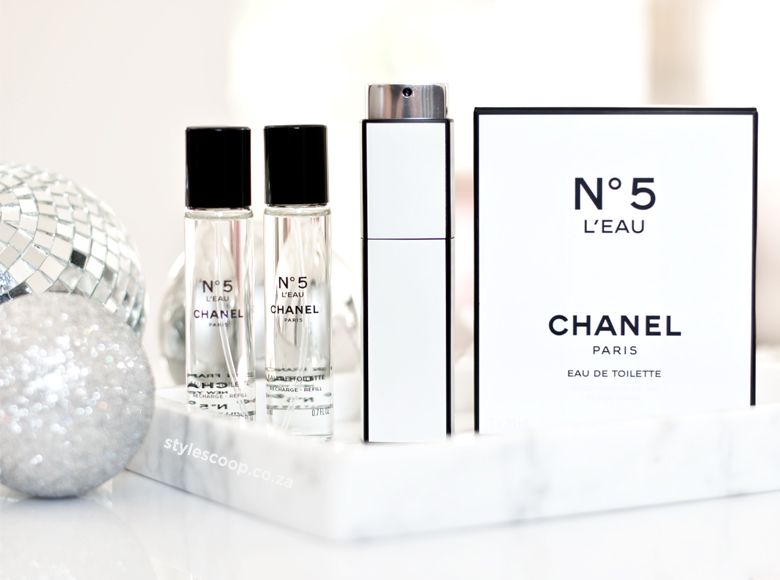 One of those fragrance faves is the CHANEL N°5 L’EAU fragrance, which launched last year. I absolutely fell in love with this scent, because it is more modern and lighter, yet it remains truly N°5. Think of it as the N°5 of today! An evolution from the original scent launched in 1921. For the holidays, CHANEL is making it hard to resist this scent with their Limited Edition N°5 L’EAU Twist and Spray. This gift is perfect for travellers and features a sleek and modern N°5 L’EAU fragrance case with x3 20ml refill bottles so you can take your CHANEL anywhere with you. So, so, so beautiful and when you consider is x3 20ml bottles, so you’re getting 60ml of fine fragrance, it really is something special to have, and since it’s a limited edition, you probably wont get another chance. R2 270 for the 100ml EDT, so coming in at R1835 for 60ml is spot on! 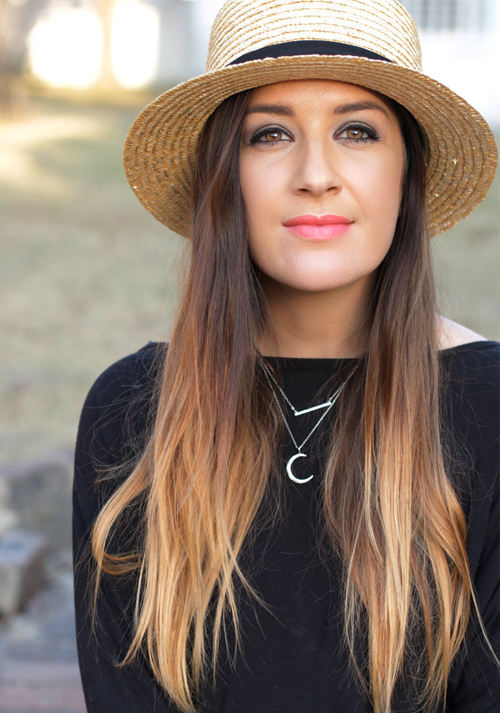 What could be more perfectly suited for the holidays than red lips? And if ever there was a time to splurge on a red lip for the season, the CHANEL COLLECTION LIBRE 2017 NUMÉROS ROUGES would be it! Just take a look at the very beautiful and very limited red packaging of the lippies. The collection features four shades numbered simply as N°1,N°2,N°3 and N°4. It’s every red lip lover’s dream lipstick! And yes, you absolutely do need to have one of these shades this season. I got to try N°4 ROUGE ALLURE 667 (left) which is a bright juicy red and N°2 ROUGE ALLURE VELVET 207 (right) which is a beautiful wine-stained sultry red. I love them both, but I adore N°2. The hints of purple in N°2 make it work wonderfully with my olive complexion, and if I was in Europe over the holidays, this is the lippie I’d be rocking around the Christmas Tree, as it’s a sultry shade, perfect for winter. N°4 is a delightfully orangey red, ideal for summer. I only fell in love with it when I actually tried it on. In the tube it looks almost blood red, but when applied, it’s got wonderful orange tones which I love for bright lip days. 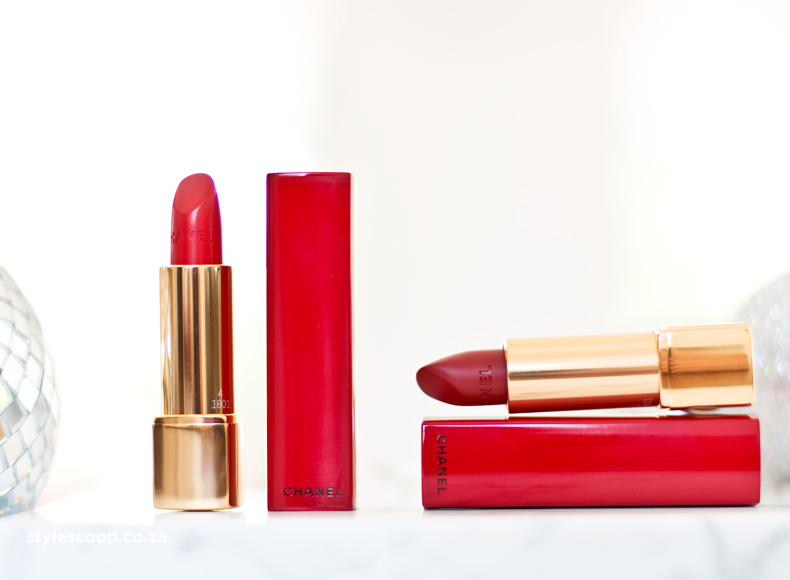 Try these gorgeous lipsticks at the Chanel Counter, because out of the four there will definitely be a red (or two or four) for you! Chanel’s Creative Director Lucia Pica says “You can still wear red even if you’re not a bold red girl” and “the reason why different reds work better on different people is to do with the undertones in your skin” she adds. The thing about these lipsticks is that they last and last and last – which is exactly what you need when looking for a red lipstick! Perfect for party season, you know your lip colour will keep it’s intensity after all the wining, dining and kissing under the mistletoe. And last but not least, a gift everyone will love! This is another one of those uber luxurious beauty items, that even when you pull it out of your handbag, you feel special! The most unique looking hand cream you’ve ever seen and the most luxurious! 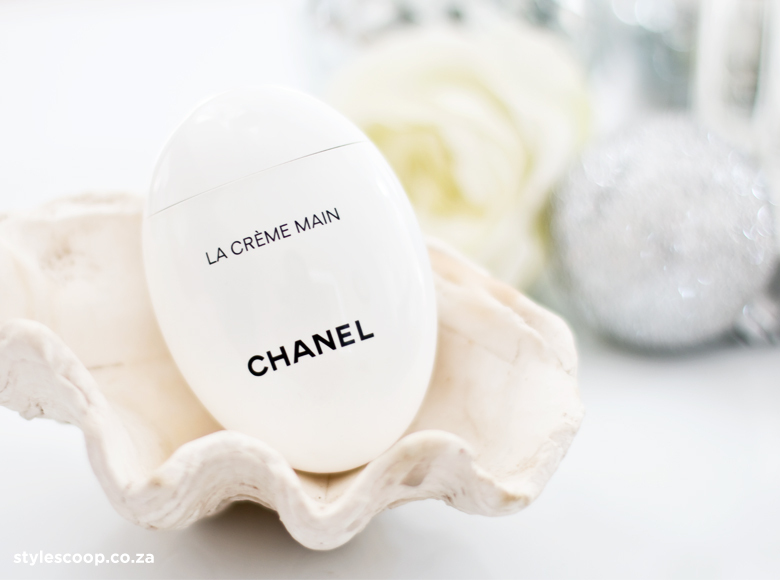 Although this hand cream is not a limited edition like the other goodies mentioned, I thought it would be nice to include it as part of my CHANEL Christmas Wishlist, because it’s still a beautiful item, that will make the most special gift. I think if I didn’t have it already (thanks to the lovely ladies at Chanel), I’d be nudging the hubs to get this for me for Christmas. This and the L’EAU Twist & Spray – coz I’m a big dreamer – hehe! It’s a hand cream that fits perfectly into your hand; with its simplistic, elegant design that’s based on a water warn stone design. A practical package that protect the precious hand cream from air and impurities. It’s actually rather genius! So much so, that the innovation for the design took over four years of collaboration between the Packaging Department, Artistic Direction and Formulation Laboratory teams at CHANEL. To use, you just remove the cap and squeeze the centre to release the hand cream. After wards, the shape-memory water worn stone retains its beautiful shape. But the desirable texture and tailor made formula is what makes this hand cream incredibly coveted. What’s the secret you ask? Well, I’ve got it! It contains May Rose Wax from the CHANEL Pégomas gardens in Grasse, which is sourced when the flowers are distilled. A precious and rich balm that smooths and softens your delicate hands, while protecting the skin from environmental aggressors. Add to that, Iris Pallida, which is also grown at Pégomas and is known for its brightening properties and the formula is further enriched with glycerin, hyaluronic acid and shea butter. Think of it as a bit of Chanel in your hands! Something beautiful to hold, quite literally! And that my dear friends, wraps up my 2017 CHANEL Holiday Collection feature! Click here if you want to see previous Christmas Collections from Chanel. Are you feeling excited about any of the products mentioned? Comment below and let me know!